Most of us used Internet Download Manager for downloading files from the internet. But sometimes we usually face the problem of slow download speed in Internet Download Manager while we have a fast internet connection. 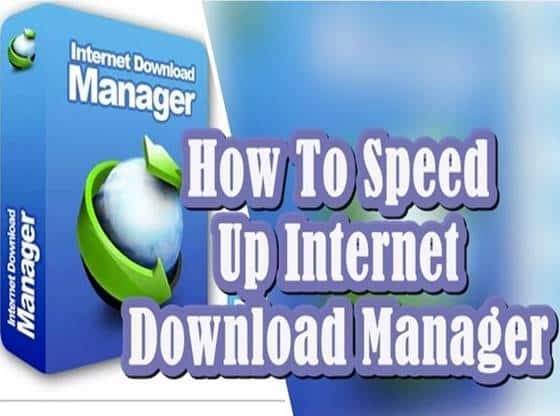 Now in this post, we will show you how to increase internet download manager speed. This trick is working 100% with this tweak; your downloading speed will get better and save your valuable time. A download manager is a software which designed to download files from the internet. 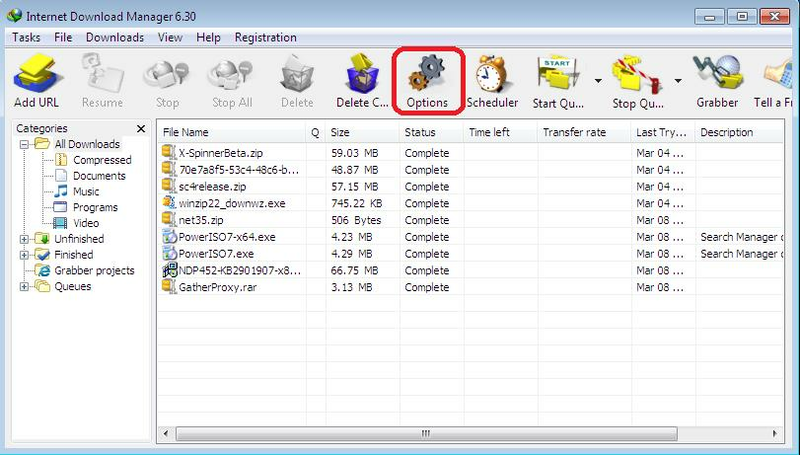 The primary purpose of developing the download manager is to make better download speed. Some download manager increases internet downloading rate up to 8 to 10x faster. Download manager also provides us with the ability of pause and resume downloads. 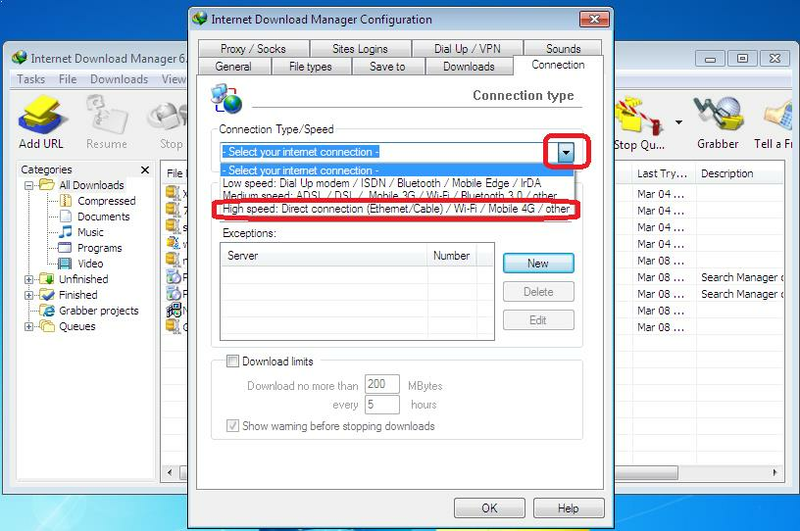 The download manager increases the speed of download by capitalising the full bandwidth available to the system. It also ensures to reduce the wastage of bandwidth. So firstly we are going to show you the snapshot of internet download manager speed before the tweak and I will also show you the speed after the tweak. This trick worked by increasing the connection that is allowed on the computer for downloading. The default connection set to a lower number, and you have to raise it manually by settings. Now before using this trick, please check your Internet download manager speeds. So you can feel the difference before and after the tweak. 1-first step is open your internet download manager. And on the top, you can see a “options” tab click on that tab. 2- Now you can see the different settings available in the options tab. But we have to focus on the last tab named as “connection”. Click on the connection tab to open it. 3- Now in connection tab at the top you find a list box named as “connection type/speed”. By default, you’ll see the “Select your internet Connection” is selected now you have to change it by clicking on the box. After clicking the box, you see different settings. 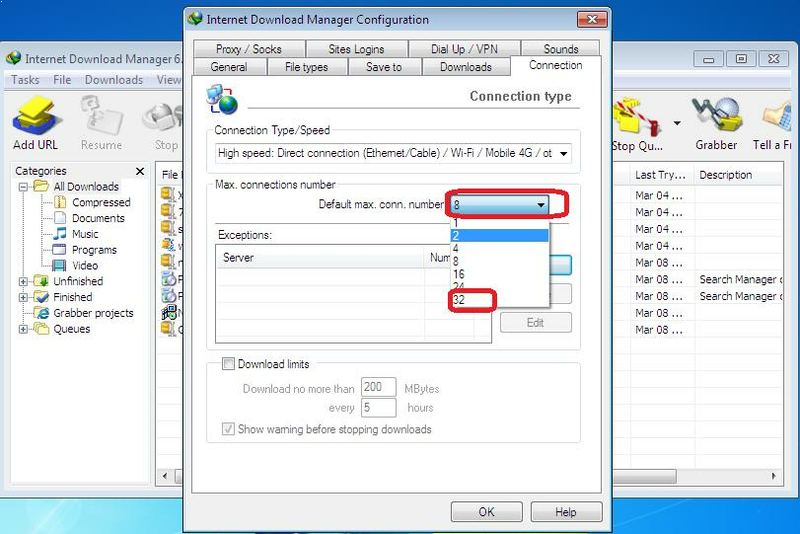 Select the last option named as “high-speed direct connection Ethernet cable /Wi-Fi mobile/ 4G”. 4- After completion of the first step now we have to go ahead to the second step which also exists in the same tab. Look down for tab named “max connection number”. By default your default connection number set to “ 8”. So we have to change it to “32” connection. Click on the box and select 32 from there and click on ok. Here we are increasing the speed of downloading by increasing number of connection. Because by default it is set to use less connection for downloading task. Now you have to close your internet download manager and restart your computer. 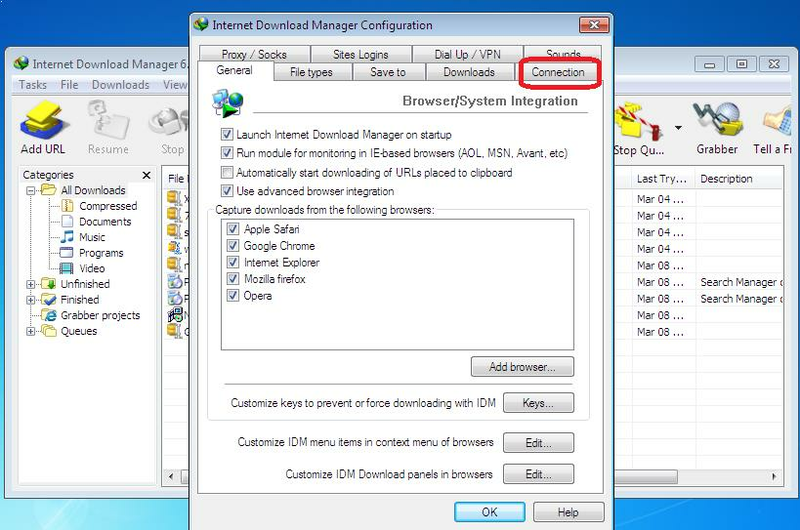 After opening the computer open internet download manager and hit resume button to start the download previously stooped file. Okay, now we think that you can easily see the difference before and after the tweak. We hope you enjoy this trick if you have any query, please comment below.